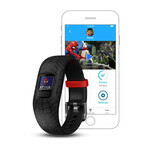 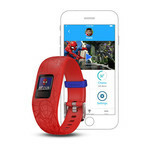 vívofit jr. 2 isn’t just a fitness tracker¹ for kids. 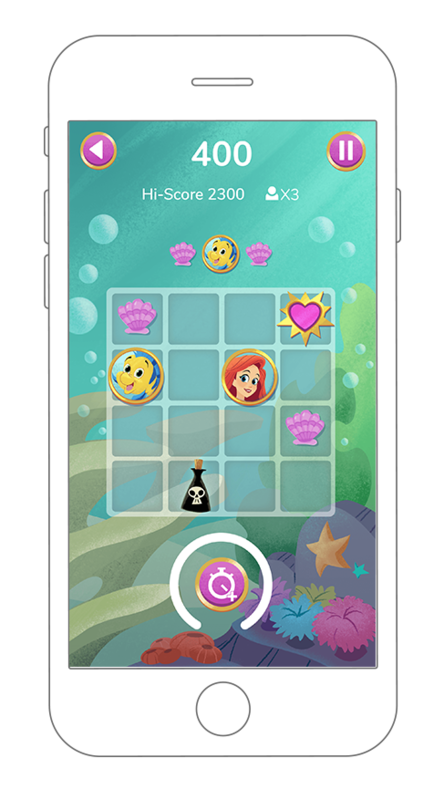 It’s an interactive experience where activity unlocks adventure. 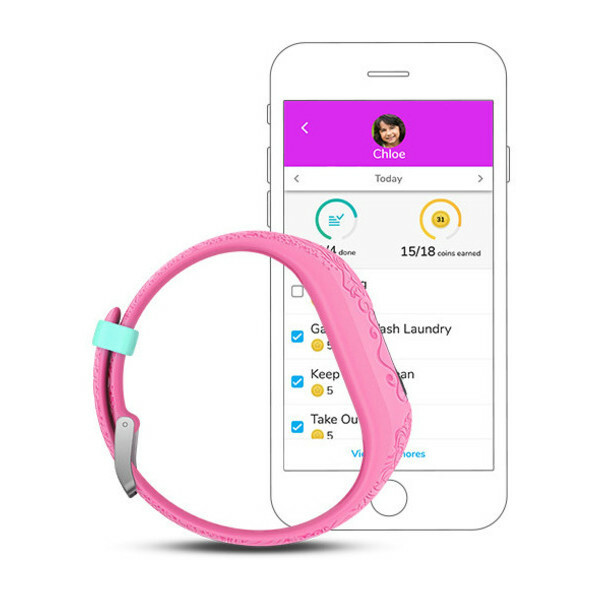 The swim-friendly band features a 1+ year battery life. 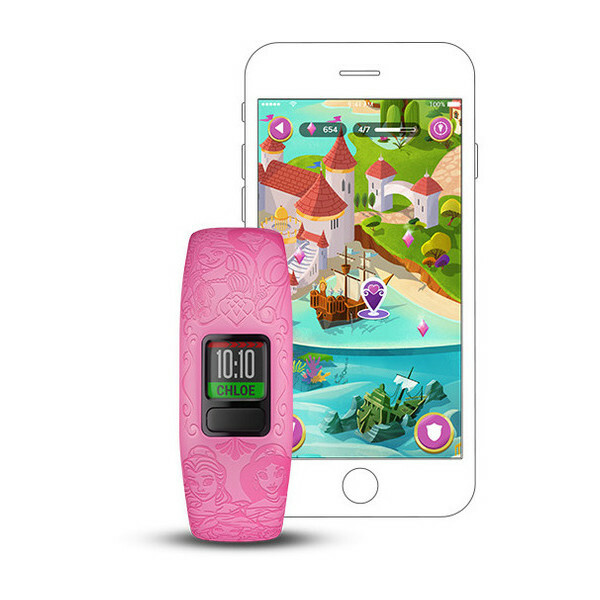 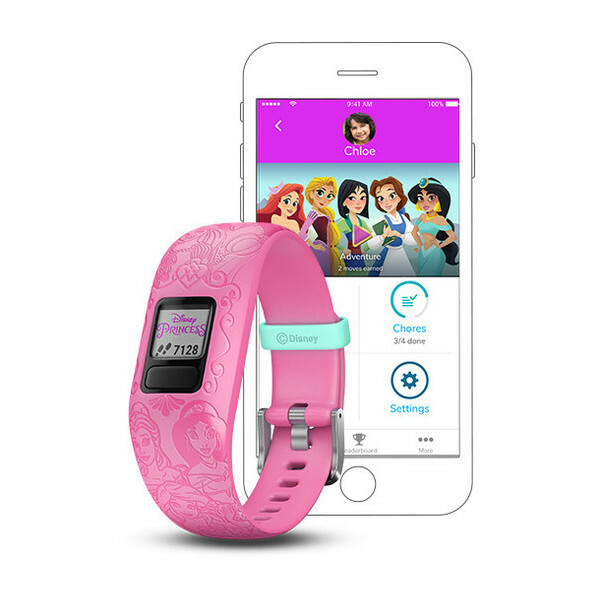 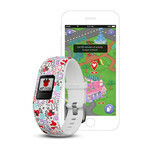 With it, kids can uncover Disney Princess adventures on the parent-controlled app by completing 60 minutes of daily activity. 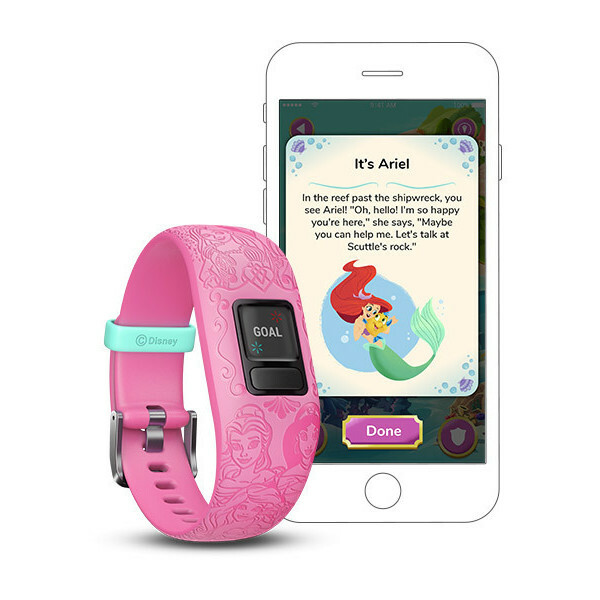 Link up with your Garmin Connect™ friends and family — and even your kids’ playground pals. 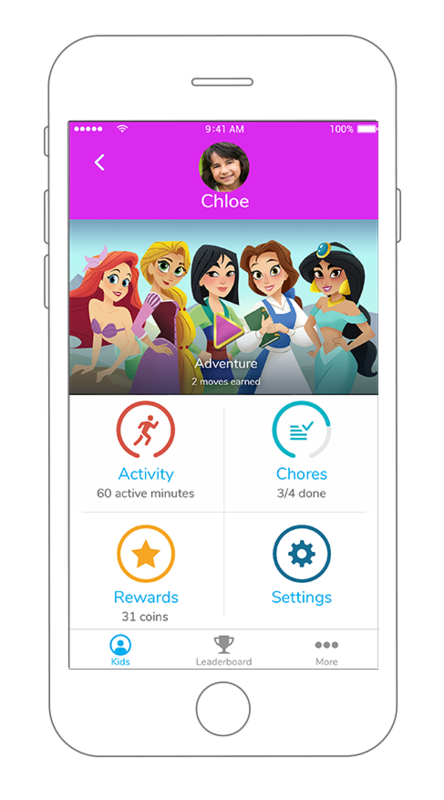 When you connect with other families in the vívofit jr. app, they can be part of your weekly step challenges. 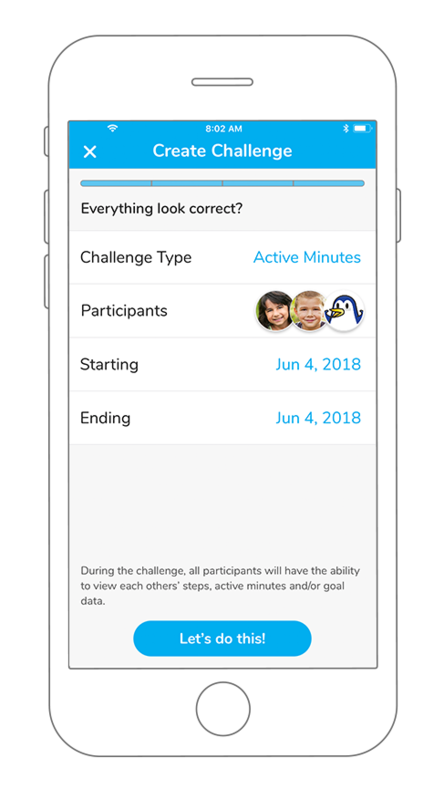 Create custom step and active minute challenges, then invite participants from your list of connections. 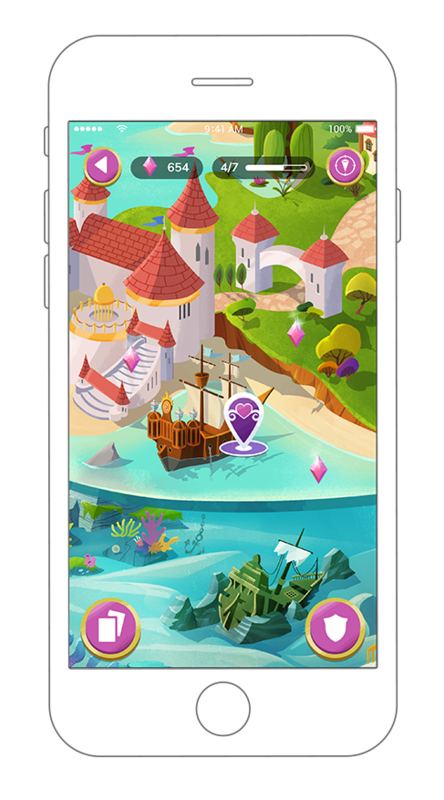 You can even leave comments for each other in the app while the challenge is active. 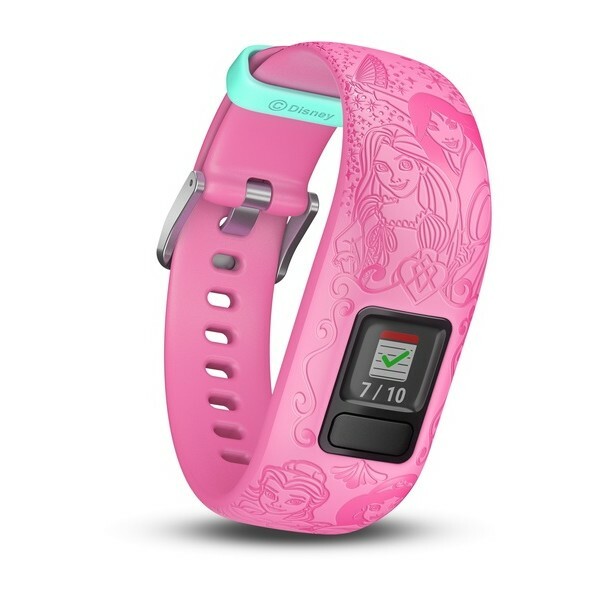 vívofit jr. 2 lets your kids get their hands on more styles and adventures. 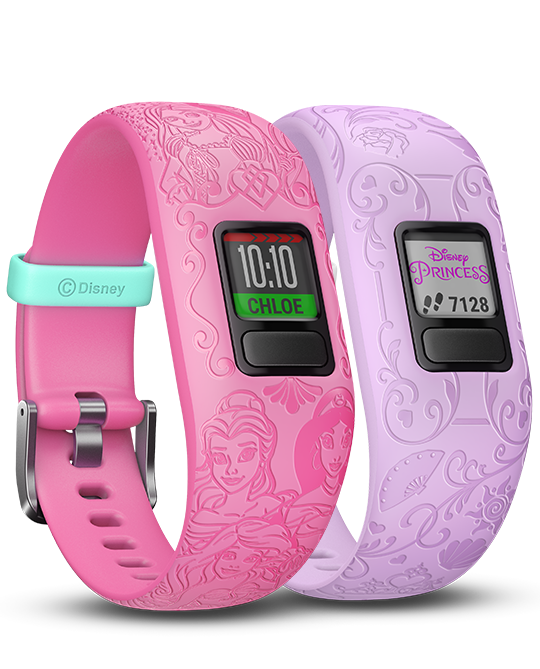 All they need is a new band to open up a new world of adventures. 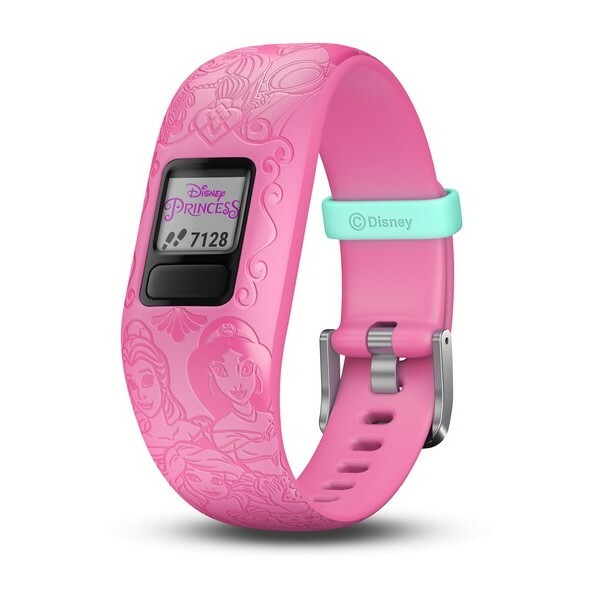 What’ll it be next? 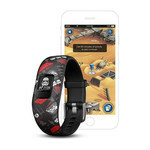 Track activity and engage in galactic adventures with a Star Wars themed band? 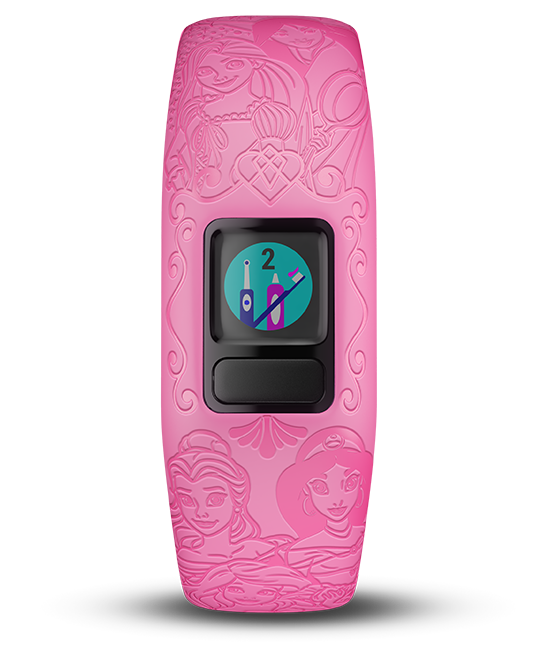 Show creativity and style with a Minnie Mouse band? 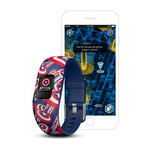 Or will your kid show off their Marvel Avengers band and join in adventures that let them save the day like a true hero? It’s up to your kid. iPad, iPhone and Apple are trademarks of Apple Inc., registered in the U.S. and other countries. Android is a trademark of Google Inc. Amazon and all related logos are trademarks of Amazon.com, Inc. or its affiliates.